Cheapest & Affordable Cabs Services in Hyderabad. IN QUEST OF REPUTABLE, RELIABLE, COST-EFFECTIVE CAB SERVICES IN HYDERABAD? Cabs in Hyderabad, We are here for you all the way through your journey Taxi in Hyderabad and around Hyderabad and across India. Ever since the Airport Cabs in Hyderabad time Ova Cab® came into being, there has been tremendous growth in its customer-base, owing to excellence in cab services. Whether you are looking forward to a trip to Hyderabad or thinking of traveling to other long distances outstation, you can certainly count on us. We have the biggest of cabs. Our cab drivers are all courteous, well-trained, certified, well-versed with local geography who will take you through your way more efficiently. And make sure you reach your destination on schedule. Reasonable fares SUV cabs in Hyderabad seven seater cabs in Hyderabad / No Hidden Costs / No gimmicks Airport Cabs in Hyderabad Taxis for outstation travel from Hyderabad Ova Airport Cabs Hyderabad, Yellow Cabs Hyderabad, Telangana airport cabs in Hyderabad uber cabs in Hyderabad outstation cabs in Hyderabad ola cabs in Hyderabad cheap cabs in Hyderabad cheap cabs in Hyderabad fares dot cabs Hyderabad cabs in Hyderabad Hyderabad, Telangana. Whether it is for sightseeing tour/cruise in and around our city Tour Hyderabad or across the state Tour or in other states of India, whether you are looking for Full day Cabs in Hyderabad or a cab for few hours, you can expect us to provide for you inexplicably the best and the most affordable price (that will surely be well within your budget) Outstation Cabs in Hyderabad best outstation taxi service in Hyderabad cabs for outstation travel Hyderabad. 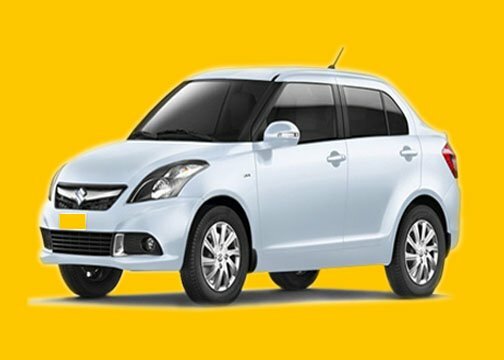 Searches related to airport cabs in Hyderabad orange cabs Hyderabad dot cabs Hyderabad, Telangana sky cabs Hyderabad cabs Hyderabad, Telangana airport cabs Hyderabad Hyderabad, Telangana yellow cabs Hyderabad, Telangana airport taxi Hyderabad cheapest airport taxi cabs Hyderabad Hyderabad, Telangana. Yes, you just need to make a phone call to us, and we reach your doorstep. You can be sure of requiring prompt services with no delay at all. Promising you on a journey you will cherish throughout your life. Let us help you make memories. We assure you of the safest journey under the stewardship of certified, qualified and experienced drives who hold valid driving licenses and knows pretty much more about safe traveling - no risky maneuvers, no jumping of the traffic signal, no speed violations, no duels etc. soft-spoken, trained, well-mannered drivers Book Outstation Cabs at Best Fares | Hire Outstation Cabs Online | Outstation Cabs Service at affordable Cabs in Hyderabad Telangana, Cabs in Telangana the best outstation taxi service in Hyderabad cabs for outstation travel Hyderabad easy cabs Hyderabad tariff. Taxi Fare in Hyderabad. Taxi Prices in Hyderabad. Taxi Price Calculator Taxi fare tables (km and miles). Given two addresses in Hyderabad, estimates the fare for taxi services. Ova Cabs continuous focus on complying with customer demands and travel needs have positioned us as a true customer-centric player in the road travel/tourism sector. In order to make customers outstation travel truly memorable, we offer several Hyderabad to Srisailam cab packages. Our website is continuously updated with the new seasonal packages that are launched. You can also call our customer care number to explore the various tour packages from Hyderabad to Srisailam. After choosing any of these packages from Hyderabad to Srisailam, you can be assured that you are getting the most efficient rates, the most courteous and experienced drivers as well as Ova Cabssa guaranteed service levels. Customers are provided with options for one way, single day as well as multi-day car packages from Hyderabad to Srisailam. Hyderabad To Srisailam Car Rental on this page travelers can get best deals on cab booking from Hyderabad To Srisailam as well as get taxi fare/cost details from Hyderabad To Srisailam. Car Rental services available for all cab types, Economical, AC, Non AC and luxury. Select for a range of options on Hyderabad To Srisailam car rental such as Hyderabad Srisailam sightseeing and Hyderabad Srisailam full day cab Booking. routes information and online booking help. Book Economy, Budget And Luxury cars online, get offers and discounts and also get cabs availability information. Compare the fares of verious budget luxury and economy cabs available and choose the range of options available online. Online Srisailam cab hire in Hyderabad To Srisailam. Online confrmation of Taxi car from Hyderabad To Srisailam. Car hire to Srisailam from Hyderabad available online. at ovacabshyderabad.com provides cab best and comfort with reliable service in economy/cheapest price for Srisailam Tour. Hire online cab with NO advance payment and No Hidden Charges. Budget rate from car operators in Hyderabad. ovacabshyderabad.com provide Cab from Hyderabad To Srisailam for outstation travel round-trip. ovacabshyderabad.com provides best service and rate for Hyderabad To Srisailam cab rental search, select and book online cab for Srisailam From Hyderabad. search for Taxies in Hyderabad For Srisailam and choose from a wide variety of cars at economical rates. we provide car for Hyderabad To Srisailam Tour. Book Taxi in Hyderabad for Srisailam trip. You can get here distance between Hyderabad To Srisailam, taxi fare, time taken by taxi journey through. Hyderabad To Srisailam roundtrip distance is approximately 520 Kms. Toll charges, Permit Allow charges, Stopping charges and Outskirt charges are additional at actuals. A booking might be viewed as ended at 24:00 Hrs and from that point, should be dealt with as a crisp booking. If there should arise an occurrence of bury city travel, the number of days might be scheduled days. In Neighborhood Driver Bhatta is material at the latest 09:00 hours and on or after 21:00 Hrs and On After 12:00 AM. Untouched and Km readings will start and end from your pickup location. On the off chance that the booking is dropping after the vehicle has left carport then cancellation charges might be appropriate. For Outstation, a Normal of 250 KMs ought to be Secured every day Deficiency will likewise be Charged. The above rates are liable for the fuel cost staying consistent. Hyderabad is also known as the city of Biryanis?, is the current capital city of Telangana and was former capital of Andhra Pradesh. The city spread over 650 square kilometers along the banks of the Musi River and is the fourth largest populated city in India. The city was founded and established by Mohammad Quli Qutb Shah, the King of the Qutb Shahi Tomb in 1591. Later, in 1724, Mughal Governor Asif Jah I declared his rule and established his own Government, book your cab at Ova Cabs and get going with radio cabs in hyderabad best outstation taxi service in hyderabad cabs for outstation travel Outstation Cabs Taxi For Sure! Ova Cabs Hyderabad, launched in 2016, is the leading cab service in Hyderabad, providing inter-city or outstation taxi from Hyderabad. Call Ova Airport Cabs Hyderabad for Outstation Taxi Service from Hyderabad and Hyderabad Airport pickup and Drop Service Best Telangana Cabs Service Providers in Hyderabad Telangana Radio Cabs in Hyderabad best outstation taxi service provider in hyderabad Best cabs for outstation travel from Hyderabad. Ova Cabs is that the advent of 1 of the foremost trusty with girls in Hyderabad sought-after 24x7 girls safety travel Cab System ‘24x7 Ova cab’ in Hyderabad can account for vital social transformations with regard to the protection and security of ladies people in Hyderabad. Fastest, Safest and most comfortable ride in Hyderabad – Ovacabs. Book Online or Call us @ (040) 22992299.Runs on meter, Paytm Payment, bill print out, GPS enabled, trained chauffers. Ova Cabs in Hyderabad 24x7 ready in your service with the full security initiative is associate degree unconventional and groundbreaking initiative designed to create radical transformations by empowering the ladies strata within the society. The Ova Taxi service round the clock Ova Cab service’ move to a new cab system is expressly designed and developed to safeguard the protection of ladies, Senior citizens travelers particularly, the operating class, students, tourists visiting Hyderabad for Sightseeing etc. Ova cab ensures a safe and secure, accountable and reliable various Travel Cab system for the ladies public even whereas on the move. This transformational Associate in Nursing unconventional initiative can produce a facultative and pro-active setting to deal with the ever-growing threats on the protection and security of ladies lives whereas causative the social and economic management of ladies within the State on a huge scale best outstation taxi services in hyderabad Outstation Cabs Service for Hyderabad Outstation Cabs in kachiguda Airport cabs in kachiguda Taxi For Sure, Ova Taxi For Sure, Hyderabad, Telangana Harsha Travels (Call Taxi), Secunderabad, Hyderabad, Telangana easy cabs hyderabad easy cabs hyderabad telangana easy cabs hyderabad fare easy cabs hyderabad contact number easy cabs hyderabad offers easy commute cabs hyderabad telangana easy cabs hyderabad number easy cabs hyderabad tariff easy cabs in hyderabad easy cabs in hyderabad tariff easy cabs fare in hyderabad. Hyderabad is the capital of the southern Indian state of Telangana. The city is a major IT Hub of India and has a thriving art and cultural scene. Telugu is the common language used.The city is the divided into zones and each has a different vibe.The Old City, Central, South, North, West, and East. The Rajiv Gandhi International Airport is located 25kms from the center, city cabs and buses can be used. It has 3 major Railway stations Cabs in Secunderabad, Cabs in Nampally, and Cabs in Kanchiguda. Buses, Auto-rickshaws, and taxis in Nampally are the common modes of transportation Ova Outstation car rental is highly preferred by many customers for outstation cabs in Secunderabad Hyderabad. Booking an outstation cab service in Secunderabad Hyderabad has become really easy and you don’t have to contact the local taxi operators for it Outstation Cabs Service for Hyderabad Outstation Cabs in Nampally Airport Cabs in Nampally Airport Cabs in Secunderabad Taxi For Sure Service, Hyderabad to Vijayawada Cabs Ova Taxi For Sure, Hyderabad, Telangana cabs from hyderabad to srisailam cabs hyderabad to vijayawada Harsha Travels (Call Taxi), Secunderabad, Hyderabad, Telangana. Ova Outstation booking Service lets you book economical outstation taxi from Hyderabad in few easy clicks. You will get clean cars and courteous drivers through Ova Outstation Taxi Servie provider in Hyderabad outstation cab services Hyderabad Cab Booking service online. 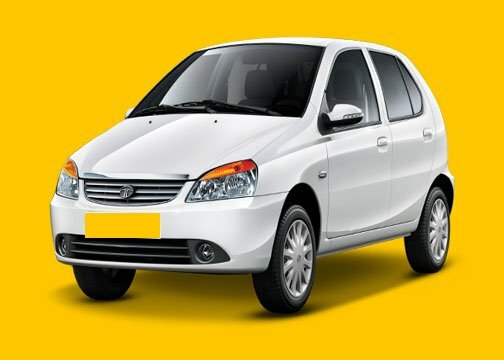 Book a cab for Intercity One Way & Return Trip, local ride, or multicity taxi tour packages | Call Taxi 040-22992299 Book Outstation Cabs at Best Fares | Hire Outstation Cabs Cabs in Hyderabad- hire Cabs in Hyderabad for affordable cabs in Hyderabad and best cabs in Hyderabad say Ova Cabs in Hyderabad. Online | Outstation Cabs Service at Ova Cabs Choose from a range of Outstation AC cabs, fares starting at Rs. 9/km. Affordable one way and round trip packages. Now book online at Ova Taxi For Sure, Hyderabad, Telangana cabs from hyderabad to srisailam cabs hyderabad to vijayawada Cabs in Hyderabad- Hire Cabs in Hyderabad for affordable cabs in Hyderabad and best cabs in Hyderabad say Ova Cabs in Hyderabad. Ova Cabs in Hyderabad is the safest taxi in Hyderabad,Ova Cabs in Hyderabad offers a range of both AC and non AC Cabs in Hyderabad. Hyderabad Cab/taxi user can choose your airport cabs in Hyderabad or book cabs nearby your location for outstation and city tour in Hyderabad.hyderabad taxi booking at Ova cabs hyderabad. For the best City Tour service and Affordable rates for Outstation cabs From Hyderabad, Hyderabad Airport taxi, Outstation taxi Hyderabad, Local Cabs Hyderabad visit.Ova Taxi For Sure call taxi in hyderabad airport taxi outstation taxi in hyderabad cabs near me best cabs hyderabad, telangana outstation cabs hyderabad gachibowli, hyderabad innova outstation cabs hyderabad innova outstation cabs hyderabad, telangana Harsha Travels (Call Taxi), Secunderabad, Hyderabad, Telangana. 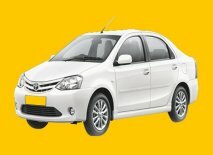 Cabs in Hyderabad- Hire Cabs in Hyderabad for affordable cabs in Hyderabad and best cabs in Hyderabad say Ova Cabs in Hyderabad. Ova Cabs in Hyderabad is the safest taxi in Hyderabad,Ova Cabs in Hyderabad offers a range of both AC and non AC Cabs in Hyderabad. Hyderabad Cab/taxi user can choose your airport cabs in Hyderabad or book cabs nearby your location for outstation and city tour in Hyderabad. Hyderabad taxi booking at Ova cabs hyderabad. Cabs in Hyderabad- Cabs in Hyderabad- Hire Cabs in Hyderabad for cheapest cabs in Hyderabad and best cabs in Hyderabad say Ova Cabs in Hyderabad. 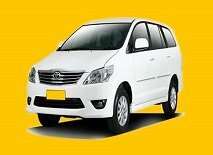 Ova Cabs in Hyderabad is the safest taxi in Hyderabad, Ova Cabs in Hyderabad offers wide range of Airport cabs both AC and non AC. You can choose your airport cabs in Hyderabad or book cabs nearby your location for outstation and city tour in Hyderabad. Get Cheapest and affordable Cabs in Hyderabad by Ova cabs for all your cabs & taxi needs in Hyderabad .Ova Cabs offers wide range of OutStation cabs/Airport taxi in Hyderabad. 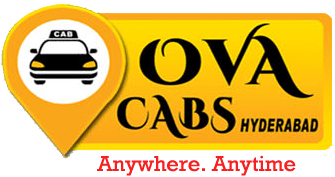 Ova Cabs in Hyderabad. Taxi Services with Address, Contact Number, Photos, Maps. View Ova Cabs Hyderabad on Google, Bing and Justdial. Making commuting a hassle-free experience is Ova Cabs in Hyderabad, one of the best, safest, Reliable and affordable car rental agencies in the city. This cab hire service is counted among the leading players in the city. This cab service offers commuters the freedom to rent a cab in a jiffy. This enterprise provides car rental, outstation car rental and sightseeing car rental packages. our impeccable services have helped this brand emerge as the leading choice for customers to travel in comfort. Aiming to ensure customer satisfaction we also customised their services to match with the changing preferences of the travellers. This organisation is run and managed by a team of professional and passionate individuals. As a service provider, they have not only made transportation accessible for citizens of Hyderabad, but also have made commuting more hassle-free and economical. In Hyderabad, this enterprise has its office at Piller No 142, Attapur, Hyderabad, Telangana Towers on. Undoubtedly it is one of the best taxi services in Hyderabad area, Hyderabad Cabs Telangana. Ova Cabs in Hyderabad offers car rental, outstation car rental and sightseeing car rental packages. Our cab service specialises in airport transfers, with pickup available from anywhere in Hyderabad. We have a large and well-maintained fleet of cabs. Catering to the convenience of the commuters, the pick up service is available round-the-clock. The options vary in terms of availability of air-conditioning, the number of seats in the vehicle and the type of the cab. A user can choose the option that suits their budget and preferences. Conveniently pay for the services in Cash, Online Payment Transfers and Paytm. Don’t worry about the charges. Now Ova Cabs in Hyderabad is here to make your travel in your budget. Ova Cabs in Hyderabads is a pocket-friendly and hassle-free services in Hyderabad Telangana or all over India Tour with Ova Cab Services Cosy Cabs, Hyderabad, Telangana. Scroll up to book the Cab in Hyderabad and contact 040-22992299 of Ova Cab in Hyderabad, Telangana. It’s best for tourists who have a fixed itinerary to go for sightseeing to favorite tourist hotspots. Taxi Tour Packages from Ova Cabs Hyderabad are available on Call request or online booking request cabs from rgia to secunderabad Cabs to RGIA Hyderabad, Cabs from RGIA to Hyderabad Airport Cabs in Hyderabad Taxi For Sure. The car fleet comprises of multiple cars of different models, Ova Outstation Cabs offers Affordable and cheap fare on Outstation Taxi services in Hyderabad for outstation Round Trip, One way Trip and local City Cabs service. The booking process is transparent and very clear. Unlike other operators, there are no hidden charges, and everything is communicated upfront. Customers can book our Local City Tour Cabs, Airport Cabs in Hyderabad, Outstation Taxi/cab services by visiting on to www.ovacabshyderabad.com via laptop, Desktop Computer, Smartphone, and tablet. Booking can also be done by making a Phone Call to 040-22992299 Taxi For Sure Cabs in Hyderabad. There are lots of interesting places near Hyderabad city Tour for Weekend Family Tours, Friends Tour, Couple Tour. Outstation Cabs in Hyderabad-Call us @040-22992299 for outstation cabs booking, book Ova Cabs in Hyderabad is the No.1 Outstation Cabs in Hyderabad, Book an OutStation Cabs/taxi for Outstation in Hyderabad @8/KM using our Outstation Cabs Hyderabad/Taxi service in Hyderabad, outstation taxi booking.Are you looking for cheapest Outstation Cabs in Hyderabad, Outstation Cabs booking, outstation taxi booking in Hyderabad Cosy Cabs, Hyderabad, Telangana? You have reached the exact place, Ova Cabs in Hyderabad is having more than hundreds of cabs available for Outstation Cabs Service from Hyderabad to Vijayawada, Online Cabs Hyderabad to Srisailam. Book a taxi for Outstation in Hyderabad @8/KM using our Outstation Cabs in Hyderabad to Srisailam service, Choose Ova Cabs Hyderabad for reliable Srisailam Cabs Outstation Taxi service in Hyderabad, Cabs in Hyderabad, Hyderabad to Vijayawada cabs, Hyderabad to Srisailam Cabs, Outstation Taxi Hyderabad, Srisailam Outstation Cabs in Hyderabad. Are you looking for an Outstation Cabs in Ova Cabs in Hyderabad offers Outstation Cabs in Hyderabad from Hyderabad to Vijayawada,srisailam. 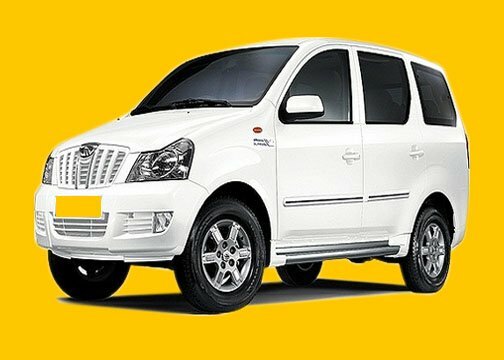 Book a taxi for Outstation in Hyderabad at lowest prices.Planned a weekend getaway or a long vacation from Hyderabad to Vijayawada and looking for a reliable Outstation Taxi service in Hyderabad, OVA CABS is a full-service transportation company that can provide you with a variety of TaxiCab and service options. Our services range from high-quality taxicab service to providing dedicated vehicles for virtually any transportation Are you looking for a Outstation Cabs in Hyderabad:Ova Cabs in Hyderabad offers Outstaion Cabs in Hyderabad from Hyderabad to Vijaywada,srisailam. 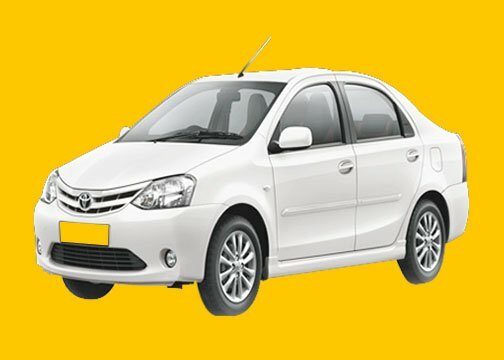 Book a taxi for Outstation in Hyderabad at lowest prices.Planned a weekend get away or a long vacation from Hyderabad to vijayawada and looking for a reliable Outstation Taxi service in Hyderabad,OVA CABS is a full service transportation company that can provide you with a variety of TaxiCab and service options. Our services range from high quality taxicab service to providing dedicated vehicles for virtually any transportation. Happy Singh Family Dhaba, Gill Food Punjabi Dhaba Hotel, seven Food Hotel and Lodge for Family and Couples. Spend full time with your family Tour or friends on your journey. Our experienced and qualified drivers will take care of the rest Tour. You get picked up from and dropped at your home with no extra charges. We understand that plans change last minute. You have to pay us when you cancel a cab. Let our drivers guide you to see the best spots, eateries, and landmarks when you are on your Tour vacation.Cabs in Hyderabad Tour local Cabs in Hyderabad airport Cabs in Hyderabad offers Cabs in Hyderabad outstation Cabs in Hyderabad fares Cabs in Hyderabad list Cabs in Hyderabad city Cabs in Hyderabad phone numbers and rates. Business Directory Always and Forever 14 http://www.sitepro motion directory.com PakRanks Web Directory Software Directory YouDoFollow - DoFollow Blogs for Bloggers. 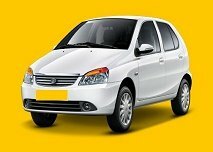 Ova Cabs Hyderabad offers a range of cabs- Indica, Swift Dezire, Verito, Toyota Etios to mahindra Xylo Cabs in Hyderabad innova cabs, Innova Crysta cabs both AC and non AC. You can choose your airport cabs in Hyderabad, as per your requirement. No extra charges for airport tranfers at night Time Cab Bookings. Airport Drop cabs in Hyderabad at Night 24% cheaper then other Cabs in Hyderabad who provide Cabs at Night service with extra cost of 50% in Hyderabad, Airport Cabs Hyderabad Midnight book with safety and secure drive one of the best cabs of hyderabad for the best transport facility We don't use peak charge to ensure that we provide you cab on time Most call-taxi services in the city are now levying 'peak hour charges' This is usually during peak travel hours; during office hours like 9 am or 6 pm, special Call us on 040-22992299. We will confirm your booking as soon as possible. We offer different kinds of services, from one off pick-up and drop, to regular services for people with different kinds of disabilities and senior citizens. Please call on the number given below to know more about our services for Outstation Sightseeing City Tour of hyderabad we claims that our cabs will be free of surge pricing. Call a Taxi in Hyderabad 24/7 call cabs 040-22992299 you can find this taxi near your location you can also book your taxi in Hyderabad through online with the website these peoples are one of the best cabs in Hyderabad to provide the taxi from Hyderabad to airport and from airport Taxi from Hyderabad for Ramoji Film City Tour operator with full day package and these ova cabs will provide cabs from hyderabad to all over India. Ova Cabs have employed the simplest Innova Cabs in Hyderabad with qualified with the govt of Telangana practised drivers for patrons safety. they will assure customers that their team is well qualified to require you to drop location on time and safely during a big selection of fleets that suits your desires Book your field cab starts with safety at flat Rs. 550/- Save longer of what you pay on field transfers by pattern Ova Cabs cabs. While you're within the rush to the flying field to catch your flight, simply do not trouble your family or friends. With simply a decision or click Ova cabs are going to be at your step on time for your flying field pickup in Hyderabad With Ova Cabs, you are not exclusively being light-weight on your wallet but on the setting what is more. Preserve the theme of your city by choosing Ova outstation cab service Innova Cabs in Hyderabad. Ova cabs and their fleets square measure well checked maintained when every trip all our cabs and fleets square measure to clean up and tested by Mechanical team to produce neat and tidy ride for our customers Still paying high and hidden cab fares, book a shared cab with RGIA Airport transfer and pay fixed fare Fleet of giant SUV fully Air-conditioned like Indica, Swift Dzire, Verito, Etios, Innova and Xylo Sightseeing Cabs Hyderabad.